From 1840 to 1849 Willem II, Prince of Orange-Nassau, was King of the Netherlands, Grand Duke of Luxembourg and Duke of Limburg. He was born on 6 December 1792 in ‘Het Oude Hof’ in The Hague. In 1795 his whole family went into exile in Britain. He grew up at the Prussian court and later studied at Oxford University. In 1815 he fought under the Duke of Wellington at the Battle of Waterloo. As a mark of gratitude for this the Dutch people presented him with Soestdijk Palace. In 1816 he married Anna Pavlovna (1795-1865), daughter of Tsar Paul of Russia. Their marriage gave rise to close relations with Russia. In 1840 he succeeded his father, King Willem I, as King of the Netherlands, Grand Duke of Luxembourg and Duke of Limburg. 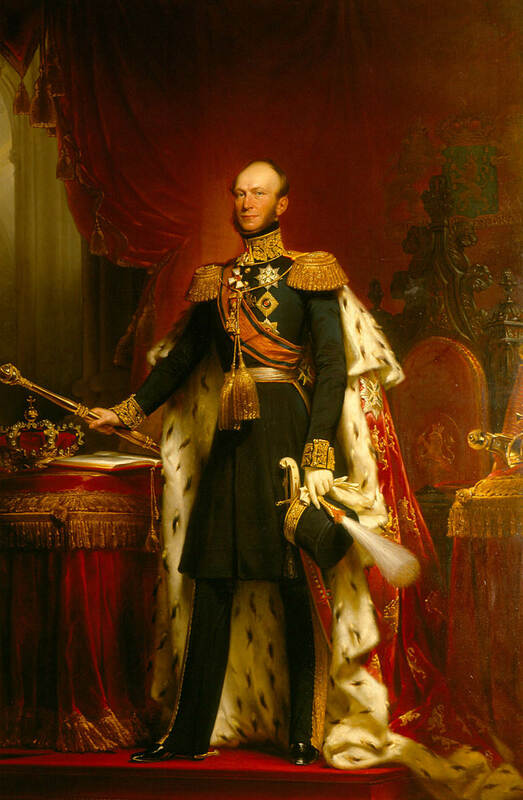 In the revolutionary year of 1848, Willem gave in to the wishes of the liberal opposition and agreed to a constitution that drastically restricted royal power in favour of the representative assembly. He remained on the throne until his death on 17 March 1849 in his palace in Tilburg. He was succeeded by his eldest son, King Willem III.